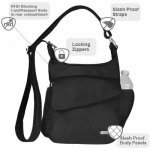 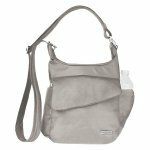 The Anti-Theft Messenger Bag from Travelon features hidden, slash-proof, Chain Link construction, and an adjustable, cable-reinforced, cut-proof shoulder strap to protect your belongings from pick-pockets and thieves. 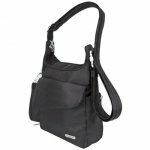 The roomy main compartment and the organizer compartment features locking zippers for extra security. 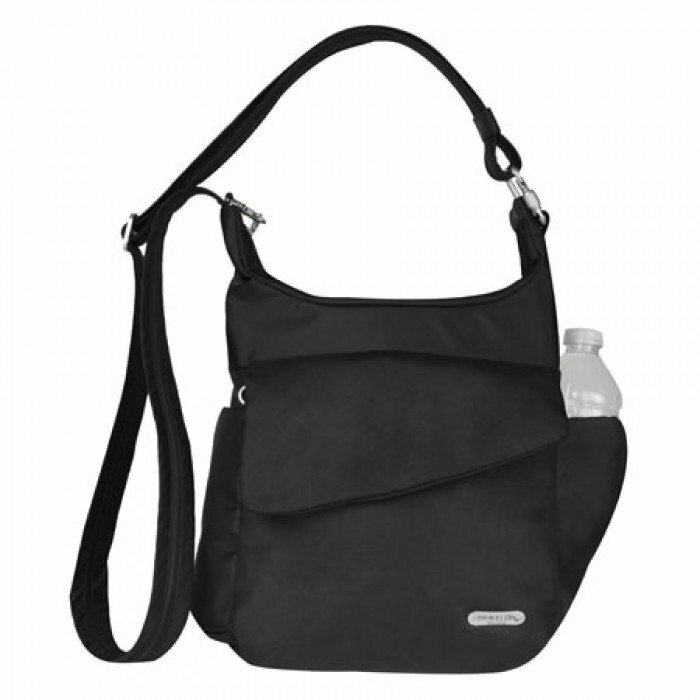 The hidden caribeener allows you to secure your bag to a post or chair to prevent passersby from a grab and go. 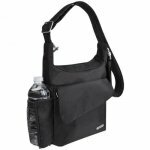 Two zippered expansion pockets hold glasses, a camera, or water bottles.